Girl Meets Glamour World: Liebster Award! Okay, so I've been nominated for this 3 times now, but the other two times I had waited too long to do it, and then I forgot. And I made myself do this one as soon as possible so I could't forget! So, thank you to Mel, Hannah, and most recently, the lovely Georgia! 1) From ages 12 - 15, I was absolutely obsessed with the Jonas Brothers. 2) I only have one sibling - my brother. We don't fight, but we don't really get along either. 3) I thought my eyes were just brown, until I died my hair a deep purple-y red, and they were suddenly a forrest green color. 4) Blogger still really confuses me. 5) I learned how to do makeup from a gay guy at my local community theatre. 6) When I was about 3 or 4, I would say that my boyfriends were Franklin (from the cartoon Franklin), Banjo Kazooie (the video game), and "Toe-ton" (my friend Colton). 7) I've never been to London, but somehow I still want to live there..
8) I am obsessed with candles. 9) I don't really have one favorite color, just all pastels. 10) If Ed Sheeran's voice could be put into a candle scent, I would buy an endless supply. 11) Ed Sheeran has performed in Orlando twice, and I missed both of those shows. Needless to say, I hated myself for the entire week of each show haha! 1) What is your all time favourite makeup brand? 2. If you could go on holiday anywhere in the world where would you go? I was watching Youtubers and realized I wanted to do that, but I wasn't comfortable with starting out on Youtube, so I decided to start a blog to see if people like me enough. 4. Do you have intend on starting YouTube, have you already? I do, just not for a while. I'm definitely going to wait until my blog is somewhat successful. Celebrity stylist! I love the idea of creating someone's look. 6. If you could swap lives with someone for a day who would it be? Oh, I don't know! Um.. Cara Delevingne! I would love to know what it's like to be tall for a day. 9. What was the first blog you followed? 10. What's one thing you couldn't live without? Foundation. I don't have bad skin, I just feel naked without it. 1) What is your favorite product of all time? 3) What is one thing that just never fails to lift your spirits? 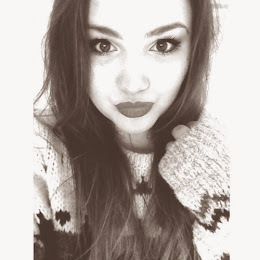 4) Who is your celebrity crush? 6) Where do you dream of living? 8) What is your favorite blog at the moment? 9) What is your favorite childhood memory? 10) If you were a a guy for a day, who would you date? 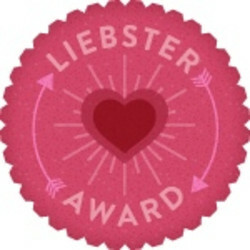 Congratulations on the Liebster Award, I've been nominated loads but never got around to actually doing it. Also the thing about London, I'm the same. I'm moving there next year but I've never been!